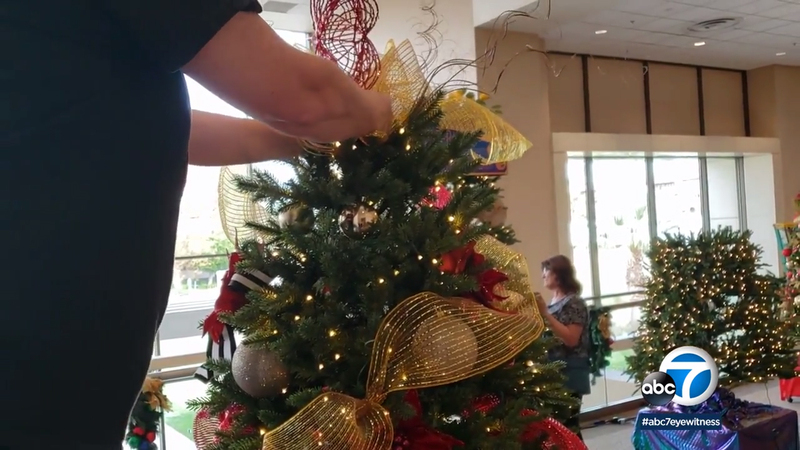 Hundreds of volunteer designers were hard at work decorating trees in Riverside as part of the 29th annual Festival of Trees. Riverside, Calif. (KABC) -- Hundreds of volunteer designers are hard at work decorating trees in Riverside as part of the 29th annual Festival of Trees. The festival will be held at the Riverside Convention Center, with more than 50 themed trees featured at this year's event. The trees are a highlight of the Festival of Trees Gala. Proceeds from the gala support pediatric programs at Riverside University Health System Medical Center. The festival opens to the public for three days starting the Friday after Thanksgiving. The free, fun-filled activities include visits with Santa Claus, storytelling and a Jingle Bell Jam. There will also be a holiday boutique. The event hours are 10:00 a.m.-9:00 p.m. Nov. 23, 10:00 a.m.-8:00 p.m. Nov. 24, and 10:00 a.m.-2:00 p.m. Nov. 25.